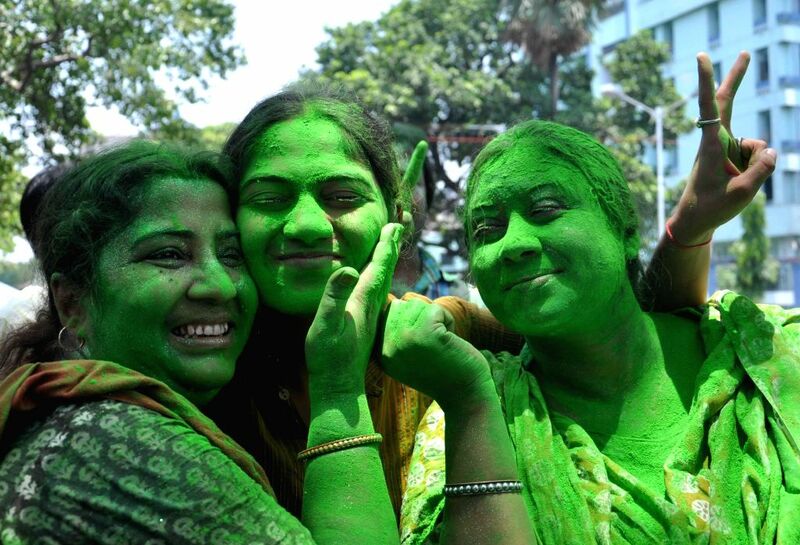 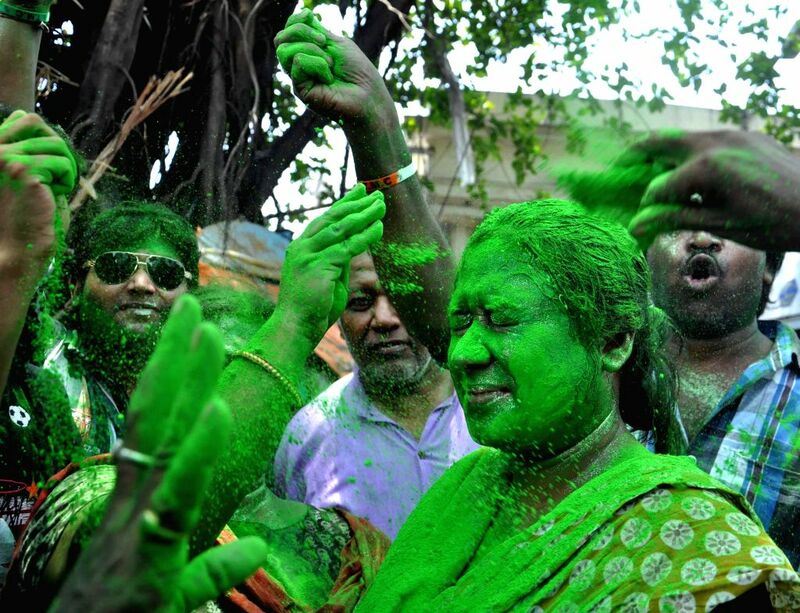 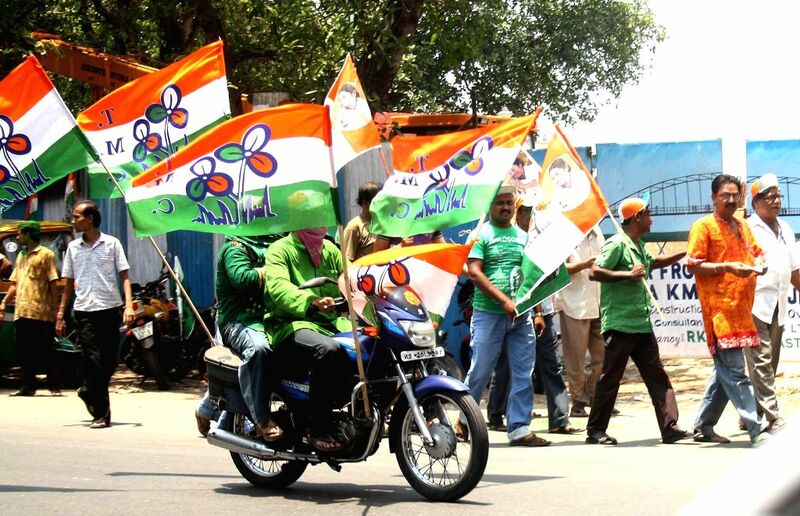 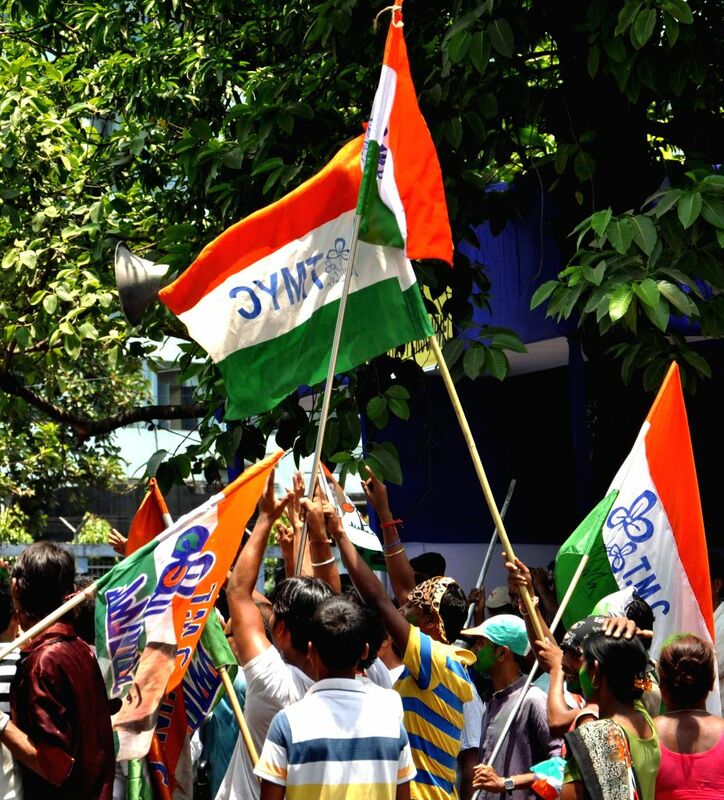 Trinamool Congress supporters celebrate as 2014 Lok Sabha Election - Counting is underway and the party is leading in the state, in Kolkata on May 16, 2014. 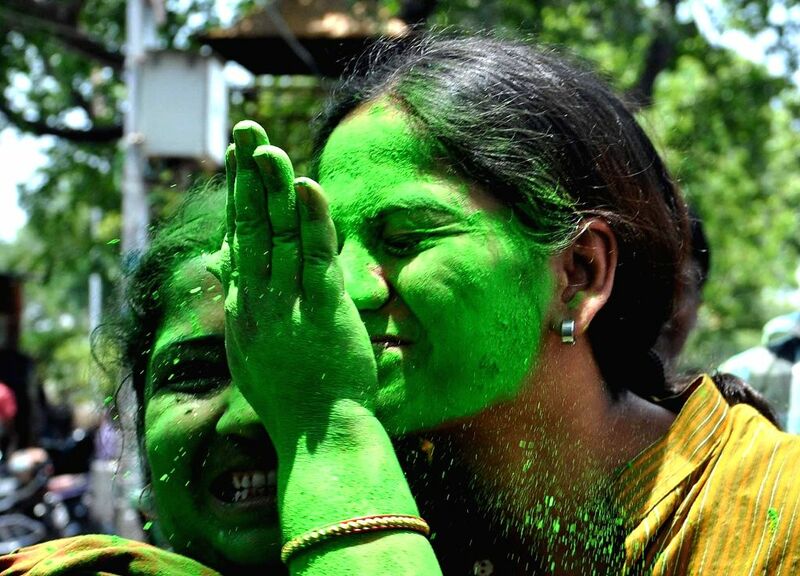 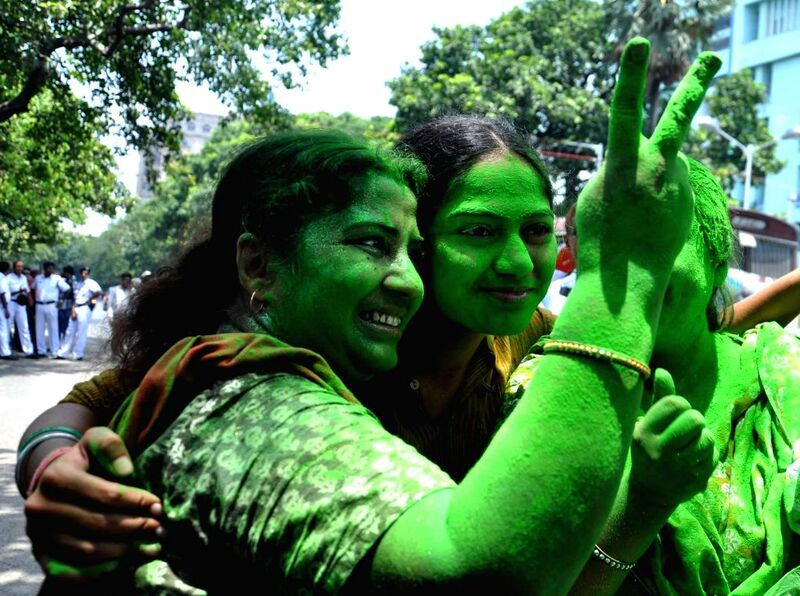 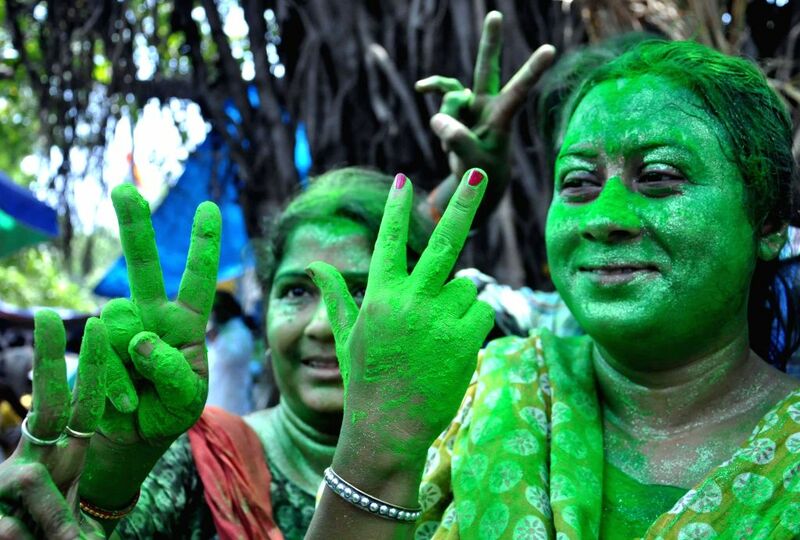 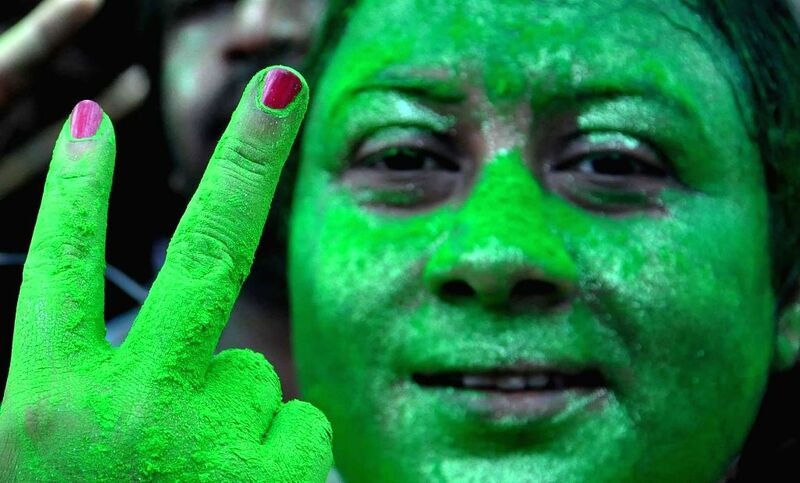 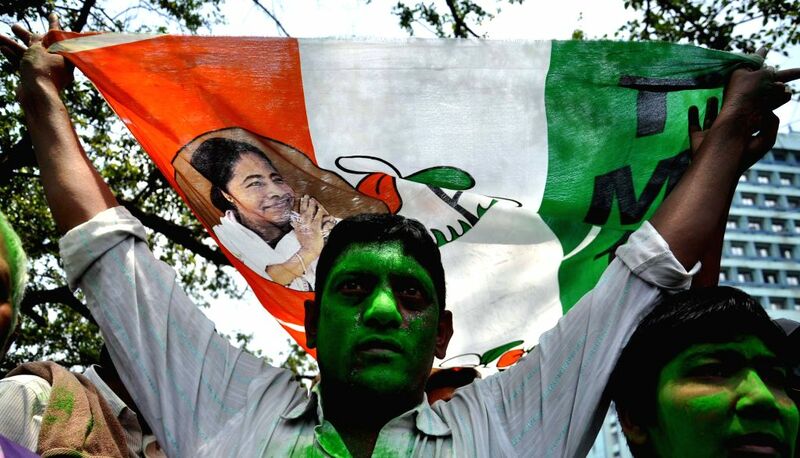 A Trinamool Congress (TMC) supporter celebrates in Kolkata on May 16, 2014. 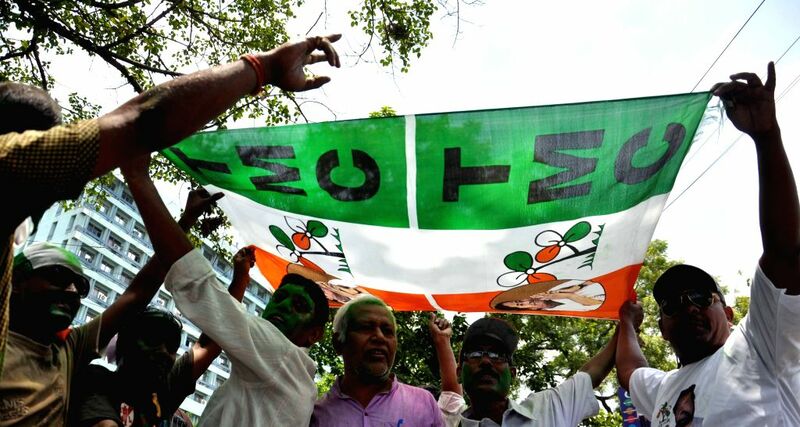 Counting of the 2014 Lok Sabha Elections is underway and the party is leading in the state.